Lori Anderson is hosting a bead soup party - and believe it or not, there are more than 80 participants. The big show date is on February 10. 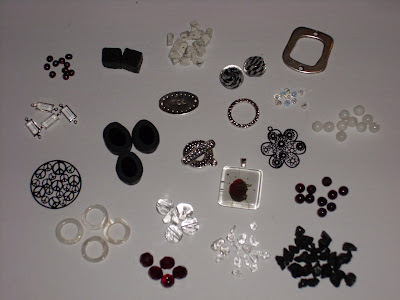 We even have a Flickr group where we can upload pictures of the bead packages we sent to each other. I received my package from the talented Mel Poxon from Kookie Designs and I have a feeling that she will transform my elements into something beautiful. The picture above it what I have sent to Mel. Come back on Feb 10 and see what we made. 0 Response to "Bead Soup Party - Update"